Are you looking for Xbox Live Gold 12 Month deals? Here you'll find the best special offers for Xbox Live. Our gaming experts scour the web for the best Live gold deals including ShopTo, Game, Amazon and more. Xbox Live is essential to play online and enjoy the most of which Xbox One has to offer. With prices always going up it's good to find a gift card or price reduction on Xbox live gold. This page shows you the special offers for both Xbox One and Xbox 360. 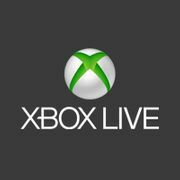 Get your cheap Xbox Live account up and running with your membership card start enjoying online multiplayer once more. 3 Month Xbox Live Gold Membership Card (Xbox One/360) - Save £4! Xbox Live Gold ONLY £2 for TWO Months! Xbox Live is an online multiplayer gaming service created by Microsoft and was first made available in 2002 for their Xbox gaming consoles. It was updated in 2005 to become available for the Xbox 360 console and a further enhanced version was released in 2013 with the Xbox One. The service is available as both a free and subscription-based service, known as Xbox Live Silver and Xbox Live Gold, respectively, with most features such as online gaming restricted to the Gold service. What are the features of an Xbox Live Gold? As an Xbox Live Gold UK Member, you get the most advanced multiplayer, bonus games and exclusive member discounts in Microsoft Store. With it, you can stay connected with friends, family and Xbox Live members around the world. Sign in to your account to see the latest available offers for you. There are promotional offers though that may not be valid for all members. Keep in mind that your membership will continue to be charged at the then-current regular price (subject to change) plus applicable taxes, unless you will cancel it. If you want to access some features, there are additional subscriptions and requirements that will be applied such as broadband internet, games and media content which are sold separately. There are also bonus games being offered for paid Gold members. Active Gold membership required to play the bonus games that they redeem. The new generation of Xbox Live is completely redesigned to harness virtually unlimited power to connect, save and store personalized profiles, games and entertainment so they can be accessed anytime and on any Xbox One console. Connecting to Xbox Live makes accessing content effortless by installing games in segments so that playback starts quickly and updates happen in the background. How does the Xbox Live works? Experts in the world of gaming agrees that Xbox Live was one of the key factors why online gaming became successful in the 2000s. Aside from increasing the number of online gamers across the world, it also includes social media and streaming video and audio. It lets gamers read their e-mails, listen to music, watch movies and even share their photos from their Xbox console. Once users connect to the Xbox Live network through their Xbox consoles, Microsoft’s servers allow them to compete against each order or as a corporate team. There’s also a social aspect added to the users’ online gaming experience which allows them to send personal message, online scoreboards, voice chat and ranking systems. In addition, gamers can also access the Marketplace where they can purchase or download the latest content such as games, new characters, extended levels, dashboard themes as well as accessories and virtual character for their Xbox avatar. Prepaid Xbox codes are 25 characters long, include both numbers and letters, and follow a 5x5 format—five blocks of five characters, printed on a card purchased from a retailer. You can redeem Xbox prepaid codes on your console or on a computer. Make sure you’re signed in to the Microsoft account for which you want to redeem the code. From the Home screen, scroll left and select the Microsoft Store icon. In the middle of the Microsoft Store screen, select Redeem a code. If you’re searching for cheap Xbox Live gold codes, you’ve come to the right place. Latest Deals’ massive community of bargain hunters are always on the lookout each month to find the best possible deals to post and share just for you! Sure, you could just let your auto-renew at the full price £40, but we're certain you'd prefer to save some money with one of these Xbox Live Gold 12 month codes. Basically, it is cheaper to purchase an Xbox Live 12 month digital code. Prices of Xbox Live gold in the Uk usually range from £32-£36. You can buy an Xbox Live Gold 12 month at Asda in-store for just £25.00, while you can get an Xbox Live gold 12 month at Tesco from their Points Cards & Subscriptions range for £39.99. Keep in mind though that once the download starts, they can't refund or accept a return unless it's faulty. Amazon on the other hand offers it for a slight margin of £39.85. The best deal we’ve found is at CDKeys. They are currently offering the 12 Month Xbox Live Gold Membership for Xbox One and Xbox 360 for £ 35.99 from its original price of £39.99. How can I get Battlefield 1 for cheap?